Saleem Altaf Bokhari (born April 19, 1944, Lahore, Punjab) is a former Pakistani cricketer who played in 21 Tests and 6 ODIs from 1967 to 1978. Saleem Altaf played first-class cricket in Pakistan from 1963-64 to 1978-79. He toured England with the Pakistan team in 1967 and 1971, Australia and New Zealand in 1972-73, Australia in 1976-77, and West Indies in 1976-77. His most successful series was in Australia in 1972-73, when he took 11 wickets at 28.45 in the three Tests, bowling at a brisk pace and "swinging the ball late and seaming it disconcertingly". His best Test figures were 4 for 11 (14.3-9-11-4) in the Third Test against England in 1971. His top score was 53 not out against New Zealand in the Third Test in 1972-73. In first-class cricket his best figures were 7 for 69 (11 for 155 in the match) for Punjab University against Lahore Greens in 1965-66. Touring West Indies in 1976-77 he took 5 for 6 off 4.1 overs against Leeward Islands, including a hat-trick. His only century was 111 (followed by 56 not out in the second innings) for PIA against Sind in 1976-77. 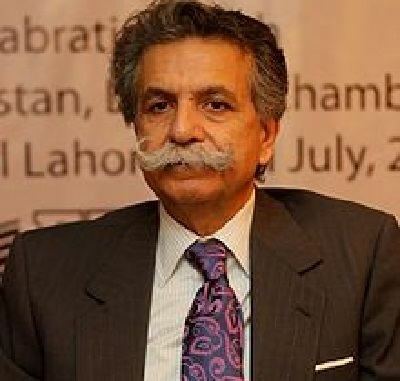 After retirement, Altaf worked as Director, Cricket Operations for the Pakistan Cricket Board (PCB) from 2004 to 2006 and later as Director, Special Projects from 2006 to 2008. He was dismissed on June 12, 2008, after he allegedly leaked to the media an email sent by PCB Chairman Naseem Ashraf to Talat Ali (Pakistan team manager) in which Ashraf demanded an explanation for Pakistan's 140-run loss to India in Bangladesh. It was alleged that Altaf's phone was tapped in order to incriminate him of leaking sensitive correspondences to the press.